Computer and laptop prices are always in flex wherein we have to shell out more money for advanced feature while the devices at the bottom are too bad to even try. Five years $35 computer was launched called Raspberry Pi which was so cheap that it seemed unbelievable and simply a publicity stunt. Here comes 2017 and we are greeted with an even cheaper computer offering at a price of just $10 called Pi Zero W. If you think this is cheapest then you will be surprised to know that Raspberry has launched Pi Zero last year which had a price tag of just $5 though Pi Zero didn’t had any wireless capabilities. Pi Zero W comes with wireless capability which will allow it communicate with any other hardware r devices with ease without the need of wiring it up. At just $10 Pi Zero W brings support for Wi-Fi and Bluetooth which is a great feature in an entry level board. This can be great tool in the hand of the tech enthusiasts and the developers in building their own Internet of Things and other gadgets can connect with the internet and interact with other devices. If you thinking Pi Zero is the first to bring such cool feature at such a jaw dropping price point then you will be surprised that there is another competitor. A KickStarter device called C.H.I.P computer brings similar features on to the tablet couple with Wi-Fi support at just $9 a package. Raspberry has sold out within few hours of its announcement and it is not expected to be brought back for sale within a short time. Why does Raspberry Pi Zero W matters? 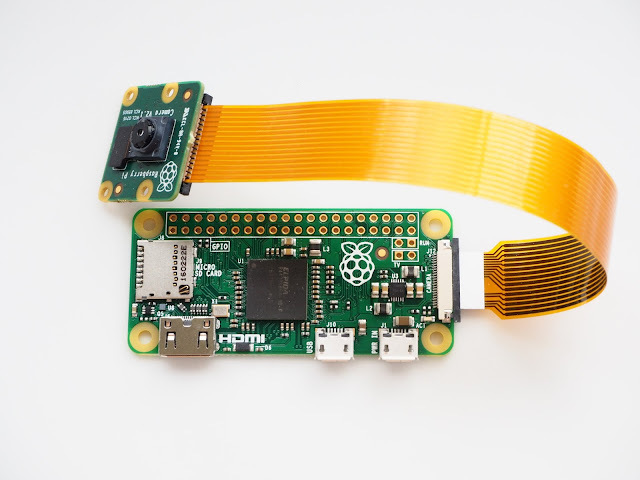 Raspberry Pie Zero W simply offers a wide range of potential for the learners, tech enthusiasts and others in broadening their knowledge through experimenting without spending a huge amount of money. In the past a number of users have been able to develop robots, laptop, lightsaber and Polaroid camera using the original Zero hardware. In order to make use of the Raspberry Pie users are simply required to possess a desktop PC having the official Raspbian OS which brings a horde of completely free software which aids in learning about the computers & programming. Now the latest iterant of the Rapberry Pi comes with wireless capability which will allow users to do more as they system will be able to connect with internet & other devices with ease. The built in support for the Wi-Fi will help in connecting Pi with other computer present on the local network with its intuitive command line. Users will be able to hook up keyboard or mouse with ease than before or they can opt for wireless devices with the support of Bluetooth. The base specs for this device includes the same first-gen Model B features which are 512 MB of DDR2 SDRAM and a ARM-based processor clocked at 1GHz.